Pop music superstar Justin Bieber impressed retired NASCAR superstar Dale Earnhardt Jr. by a recent wardrobe choice. After Earnhardt Jr. saw a photo of Beiber wearing a Dale Earnhardt Sr. shirt, the 14-time NASCAR Most Popular Driver responded via Twitter. “Does @justinbieber know everything he wears after this will never be as badass as (sic) this shirt?” Earnhardt (@DaleJr) tweeted Nov. 1. Earnhardt Sr. raced full-time in NASCAR’s premier series between 1979 and 2000 before his death in the February 2001 season-opening Daytona 500. He is a record-matching seven-time champion and inaugural member of the NASCAR Hall of Fame. Bieber previously has been seen hanging out with Formula 1 champion driver Lewis Hamilton at several F1 races. 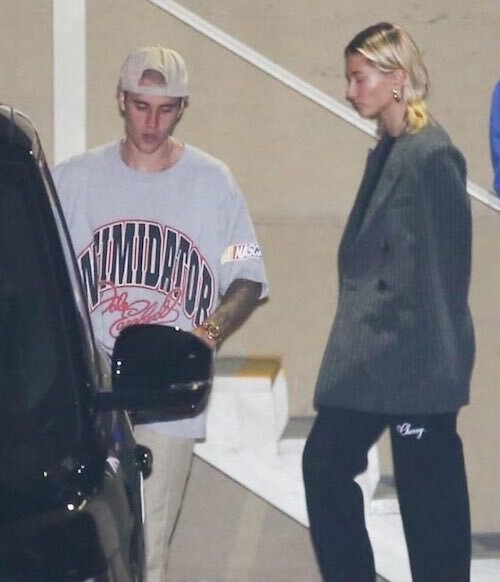 After Earnhardt Jr. tweeted his approval of the shirt, a fan responded with a couple of photos featuring a better view of Beiber’s Earnhardt Sr. shirt. Earnhardt Jr. retired from full-time competition as a NASCAR driver at the end of the 2017 season after racing full-time in the Monster Energy NASCAR Cup Series since 2000. He has since moved into the broadcast booth for NBC coverage of NASCAR.